The Gateway NV Notebook blends premium performance and trendsetting style for a stellar HD entertainment experience. With powerful Intel Core i5 processing, impressive graphics, Windows 7 Home Premium and on-the-go connectivity you can multitask with ease, keep up with your social network and enjoy all your digital media from the comfort of your PC. The new Intel Core i5 with Intel Turbo Boost Technology automatically adapts to whatever you are doing, responding to all your needs. 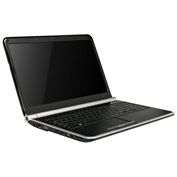 It dynamically delivers optimal performance and energy efficiency for accelerated productivity. Breeze through multitasking requirements with 4GB DDR3 Memory and quickly retrieve and store files on the 320GB Hard Drive. The Windows 7 Home Premium operating system is designed to be more reliable, more responsive, and to make the things you do every day easier — the best entertainment experience on your PC. This entry was posted on Monday, August 9th, 2010 at 6:52 pm	and is filed under Uncategorized. You can follow any responses to this entry through the RSS 2.0 feed. Responses are currently closed, but you can trackback from your own site.